To use digital advantages to bring value to our customers. To facilitate our clients’ digital progression by providing innovative ways to connect the health chain, from production to the patient, including safe and tamperproof medicine containers and certified health data. 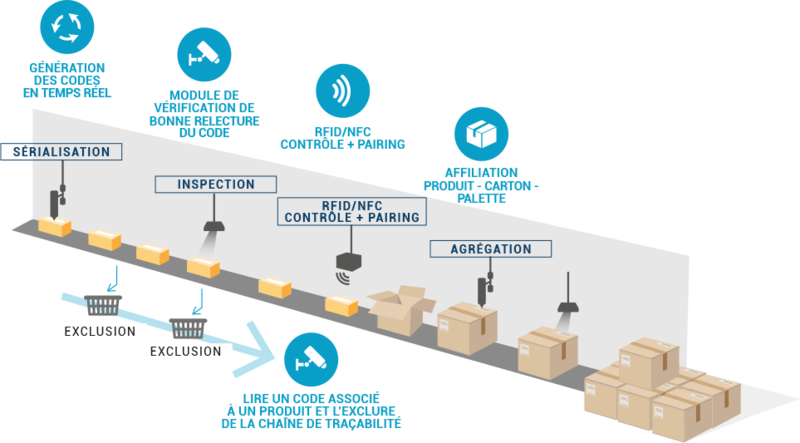 To provide our clients with optimum UHF traceability, Yes it is offers a shipment tracking system to identify packages and pallets through 4D RFID implemented technology. Take into account the standardization of the CIP code: in the form of GS1 datamatrix ECC200. Integration and securing the database CIP in the secure platform. Encryption and introduction of a unique identifier per box: cryptographic signing system for static barcodes, use of serial number. Add internal lab data to customize public / private content using the numbering ranges. Possibility of offering an optional NFC solution to secure the contents of the electronic chip (non-duplicative UTLC), management of the unique ID coupled to the CIP code, anti-tearing antennas, open detection of the box. Consideration of all international regulations. A certified ID management solution for the implementation of Datamatrix regulations. A shared and secure exchange platform with NMVS for all laboratories. 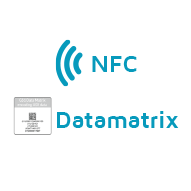 The complement with NFC technology and its relevant uses and ROI for labs. Securisation based on the trusted third-party leader in France. The ability to adapt to future regulatory and technical developments with a low impact for the Laboratory. to evolve into a customer number.